Air impingement used in the Lincoln 1400-2G Impinger® double conveyor oven is designed to quickly cook products with quality results. 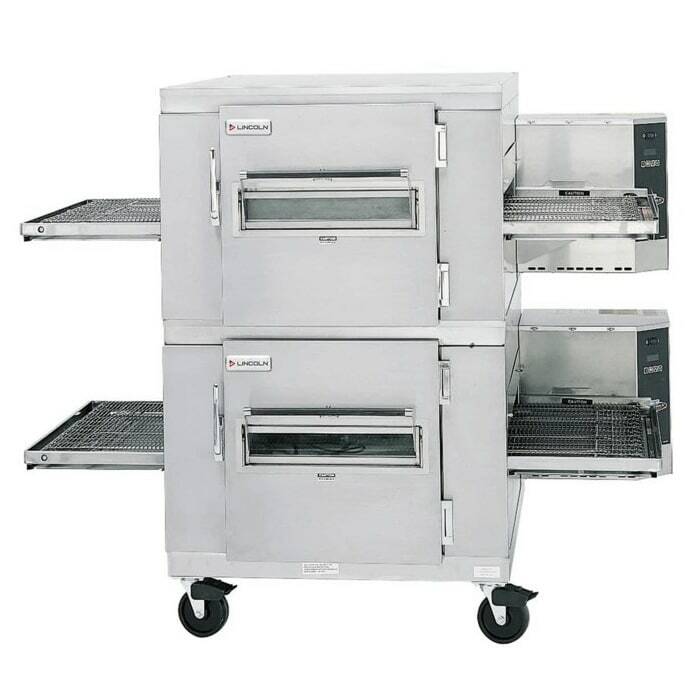 It operates with a digital control system with temperatures between 260 and 600 degrees Fahrenheit and a 1-to-30-minute bake time. The time and conveyor speed are controlled with a microprocessor, and the fluorescent display provides a temperature readout. 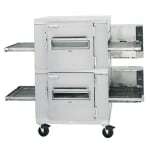 Radiant finger setup provides menu flexibility to suit different applications. Since the settings automatically lock, unauthorized users cannot make setting changes. Servicing the Lincoln 1400-2G double impinger conveyor oven is simple with diagnostic messages. Conveyor speed cook time: 1-30 min. Is impingement the best option for your application? Read more about impinger and conveyor units in the impinger vs. conveyor article.